Every political campaign in history has performed or been a victim of opposition research where items emerge that were both true and untrue. Opposition research has assumed new and global platforms where hostile and objectionable stories are planted in planned human form, automated form and in artificial form. Facebook founder, Mark Zuckerberg found himself on The Hill for two days before the House and Senate combined committees answering questions about internal operations, selling data to application developers and the deference of data-mining performed by artificial intelligence synthesis. In the course of American political elections we learned about the St. Petersburg, Russia based Internet Research Agency, a troll farm, we learned about Cambridge Analytics and search engine manipulation of results pertaining to politicians and issues, most of all Google. It is now easy to predict that every political season joined with campaigns and opposition parties will be the victims of trolls and bots and worse, continued fake news. Then we have media that create trending scandals and actually create shallow and unverified dossiers themselves such as the New York Times, Media Matters and the Washington Post. For proof, we don’t have to look into the too distant past and remember the accusations against then U.S. Senate candidate Roy Moore. Over time, those female accusers and stories were for the most part dismissed and such appears to be the case with Missouri governor Eric Greitens and some mistress and some photo(s) on a cellphone that perhaps now she just dreamed about. Russian trolling and bots are hardly a new phenomenon, yet the amoral political culture in America have applied those tactics effectively and they are here to stay. Trolls and bots have been proven to have accounts on Facebook and Twitter. Other accounts such as a large Black Lives Matter Facebook account was created and administered by a white guy in Australia making full use of donations for his personal gain. 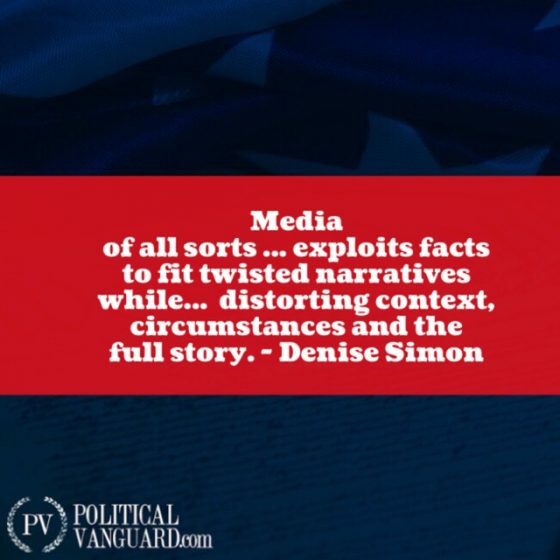 Media of all sorts collects topics, scandals, donations, speeches, appearances and exploits facts to fit twisted narratives while omitting other facts and evidence distorting context, circumstances and the full story. The audience and users continue to allow others to lead with headlines that hardly speak or tell truths, all of it and the hate speech begins as well as censorship. The result? A polarized society where virtually any subject has lost common ground and the odds are that blame is misplaced. Unity is lost. The Russian application of active measures is a layered operation and while trolls and bots are common, we see frequent plots employed by rogue actors and nation states. The United States is the naïve victim of such measures by organizations planted in industry, academia and government across the country. Beyond cyber theft and espionage, there are agreements and relationships. Senators Rubio and Cruz have been on a campaign with some effectiveness to dismiss the Confucius Institute from college campuses. Countries such as Iran and Russia have major lobby operations in the United States that affect news headlines and policy. The same goes for trolls, bots and a dossier or two or more. Your work for the full facts, context and evidence just got harder because of opposition research, social media, sellout professors, money and news outlets.